SWFBUD was proud to participate in the Downtown Tampa Crit today as bike racers took to the streets of Tampa. It wass wonderful to meet some old bike friends and also meet new ones today when I chatted about the BAM Network and SWFBUD's tole. Kudos to Karen Kress and the Tampa Downtown Partnership for putting on the race event and for drawing bicyclists to downtown. Harsh rains struck about 2:30 PM, and I along with other exhibitors had to pack up but the races carried on and the skies eventually cleared with more spectators coming to downtown to check out the pro racers in the early evening. Here's Chaz chatting with J. Steele Olmstead, a bicyclist-lawyer who is a SWFBUD member. Chaz and his partner Monica talk with J. Steele. Great story about Chaz and Monica. When I worked on my first Bicycle Bash 5 1/2 years ago I met Chaz and Monica while I was biking in St. Petersburg near Witham Field with my Bicycle Bash trailer. Chaz and Monica still remember those days. Mayor Bob Buckhorn was working the crowd and stopped by to say hi. Here's Mayor Bob with SWFBUD lawyer member J. Steele Olmstead. Mayor Bob enjoys a photo opp with bicyclists, young and old. Hey, who's that guy with the mayor? A crit competitor heads out. Michael with his helmet cam paid a visit. Ben and Jerry took a break from their ice cream business to stop by the Crit. And even Bullet made a cameo with his fat tire rig. Swing by the SWFBUD tent at Saturday's Downtown Tampa Crit race. I'll be visited by SWFBUD lawyers J. Steele Olmstead (11AM), Tom Singletary (1PM) and Morgan Gaynor (4:30PM) who will offer free legal advice about bicycle issues. Here's a variety of items you might like. Bicycling is superior to cars in economic gain to society. Bicyclists are better for local businesses than drivers. On Thursday, I ripped off a quick 100-miler and it included a stint on US 301 into Dade City, about 40 miles northeast of Tampa. Most bicyclists avoid US 301 and other federal roads, but I like biking sections of certain federal roads that have shoulders because most long-distance cyclists from other states follow federal and state roads since they're not aware of the back roads. And you never know who will bump into. 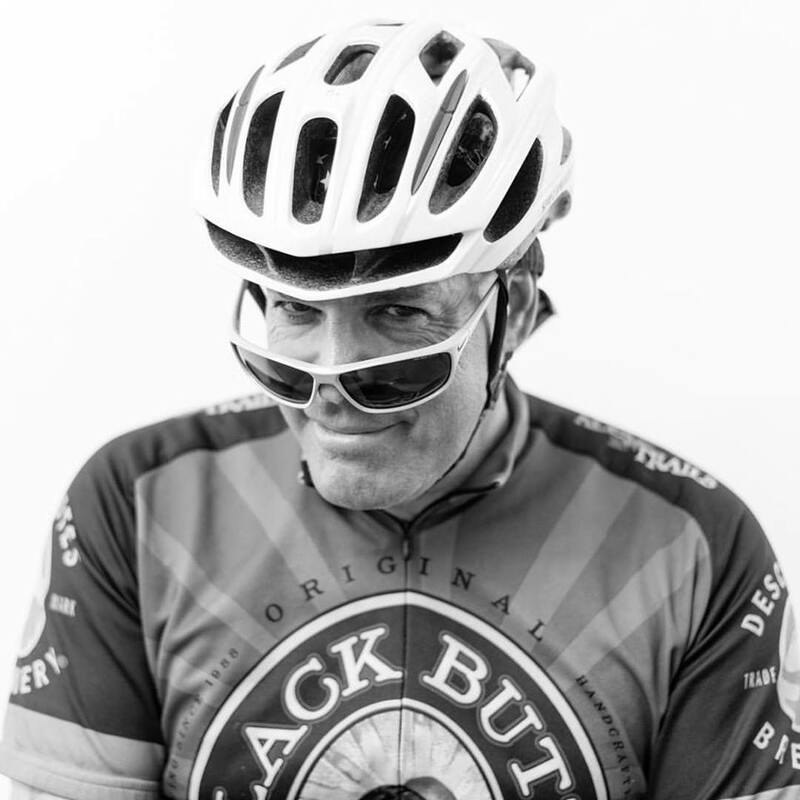 Like this fella -- Joelle from Texas, who is the kind of the Tim Tebow of long-distance Jesus-loving bicyclists. He's pedaling a rig that includes 5 (FIVE!) trailers packed with bibles and other religious books. He had his total rig weighed in Fort Myers and it came in at a whopping 1,116 pounds. Joelle says he has been on the road since 1995, starting in Texas. He's very devoted to Jesus and tried like the dickens to get me to join him but I'm a disciple of the Temple of Bicyclists, which I broke the news to Joelle and hope his feelings weren't hurt too much. If we are being asked to accept Segways and mobility scooters as legal alternatives to bicycles on what were intended to be strictly non-motorized recreational bike trails (and around here, we are), then fair is fair: We cyclists should then be allowed to bring our bicycles into any store, business or government office that does not provide for safe and secure designated bicycle parking within reasonable sight and distance to their main entrance. We've all experienced the joy of cycling to a given destination, only to find no bike parking at all, and no way to secure our ride. There are a few places like that around here that I know I can wheel my mount inside if I have to, but very few. We need to know are bikes will be safe, no matter where we go. We need to know that we can keep them close, and bring them inside if we have to. We need to be able to use our bikes safely, no matter the destination. If nothing else, a push for this may get us more bike racks. My friend David Levy showed a clip of his Pedal America TV show, which filmed an episode here in Tampa and on the Seminole Heights Bicycle Club, at the National Bike Summit in Washington, DC this week and got rave reviews. 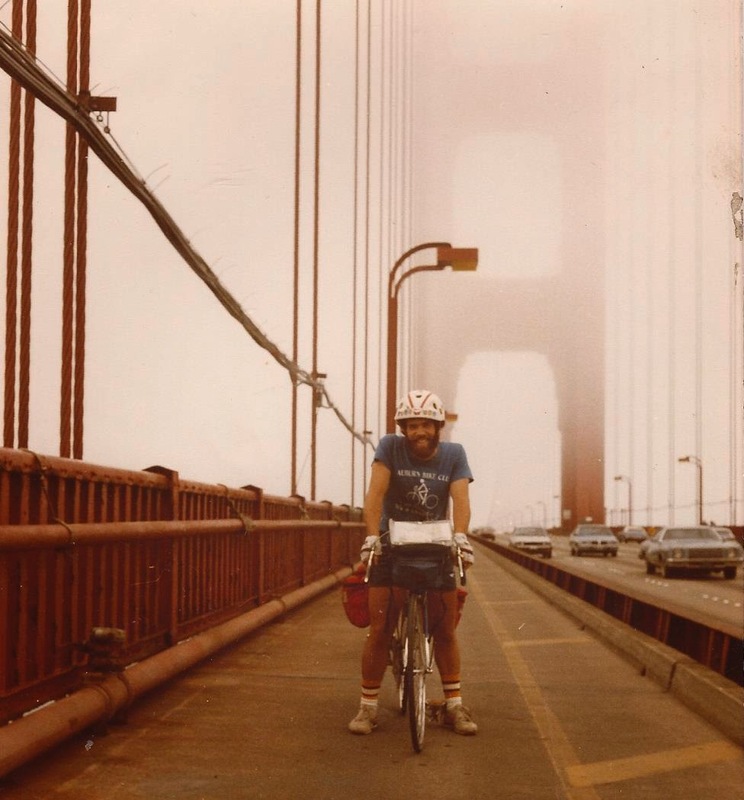 Check out David's assessment of the bike advocates' response to Pedal America. On Wednesday, March 21, the National Bicycle Summit in Washington, DC played a compilation DVD of Pedal America for 800 attendees representing 49 states. I'm thrilled to report that the response was overwhelmingly positive. Shortly after the screening and the following day, Summit attendees swarmed me with business cards and requests for our team to do episodes on cities, towns, and parks In their respective cities. Senators and House Representatives from Illinois, Oregon, Missouri, North Carolina, and California also expressed high marks for Pedal America. More importantly, the bike industry's national nonprofit advocacy organizations including the League of American Bicyclists, IMBA (International Mountain Bicycling Association), Bikes Belong, and the Alliance for Bicycling and Walking all expressed high interest in helping the series to reach their respective national and international members and member groups. This is wonderful for all of Pedal America's sponsorship partners. Trek Bikes' Brand Manager issued multiple kudos, as well. We are thrilled by the response and look ahead to the series' continued growth when it debuts on local PBS and public television stations nationwide on May 5th. 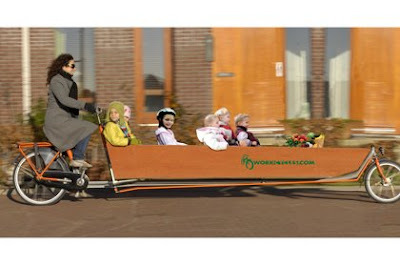 Please check your local listings, and visit our website at www.pedalamerica.tv and click on "Where To Find Us." Do you have legal questions about bicycling? SWFBUD will have the answers for you. More bad bicyclist news from car-bike crashes over the weekend in Tampa Bay. On late Sunday night in Seminole in Pinellas County, bicyclist Roger Hiers, 54, of Gibsonton suffered life-threatening head injuries when police said he pedaled into the path of a vehicle driven by John Collins on Park Street N., the Times said. "Hiers appeared to have been drinking and alcohol is believed to be a factor in the crash, investigators said," according to the Times. Here's the Times story, which offers a few more details. And early Sunday morning at 3:16 am on US 41 in Lutz in north Hillsborough County, a bicyclist tried to cross US 41 at Crystal Lake Road, police said. He was killed. TBO.com did not have many details excapt to say, "A man on a bicycle tried to cross U.S. 41 and pulled in front of a northbound Ford Fusion, deputies said. The Ford struck and killed the bicyclist. The names of the victim and the driver of the Ford were not available Sunday." In less than three months in Hillsborough, seven bicyclists have been killed. A common factor is bicyclists killed at night or faint light conditions. Once again it was off to ride the 3 Bridges (Gandy, Bayside, Causeway) and a Span (North Blvd. over the Hillsborough) -- and it was a terrific 51.7-miler with Ellen "The Big E" Pierson, Nick and Becky. The route from Seminole Heights to the Bridges and back included Tampa's finest bike infrastructure -- sharrowed roads of NorthnBlvd. and Euclid, bike lanes on Bayshore, Manhattan and Nebraska and even the U-Path Trail. Over the Gandy we pedaled to US 19 and 49th Street over to the Bayside and Courtney Campbell Bridges and then via the U-Path Trail we hooked into Cypress and pedaled across Tampa to North Blvd. and home to Seminole Heights. Lots of gorgeous views of the water from the bridges in between a little grit on the few commercial roads we took. Overall, a splendid ride with terrific company. There's Nick -- he has been known to use these candid bridge shots for his Facebook profile photo. There's the Big E -- Ellen. On the frontage road we can exchange witty banter. Becky and the Big E head down the frontage road. Bob Buckhorn wanted to turn the Hillsborough River green and gosh darn it the Tampa mayor did it. The city invited some food and beer trucks, set up some kids tents and ordered killer weather of clear skies and 80 degree temps and you had a nice day at the downtown Curtis Hixon park on the Hillsborough River in Tampa to celebrate St. Patrick's Day. Jim Shirk, the czar of the bike valet, was manning the parked bikes as usual at the event and I swung by to give Jim a break. Then it was off to a bike shop and I also swing by Yankee Stadium in Tampa, better known as Steinbrenner Field where the Yanks hotsed the Astros in a pre-season game. Click here to sign the Friendship TrailBridge. 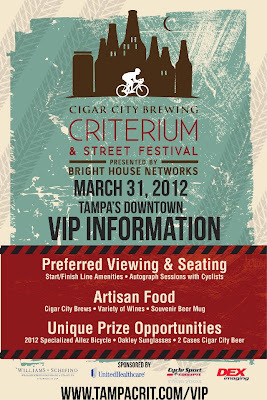 If you love bike racing and good beer you just hit the lottery because the Downtown Crit is coming to downtown Tampa on March 31. Check out www.tampacrit.com for all the info. Three University of South Florida grad students gave a fascinating presentation to the Tampa/Hillsborough Bicycle-Pedestrian Advisory Committee Wednesday evening about motorist, bicyclist and pedestrian attitudes at the USF campus. One of the interesting conclusions is that motorists didn't like bicyclists on roads and pedestrians didn't like bicyclists on sidewalks, leaving bicyclists wondering where were they welcomed. Of course, it spoke to the key issue of educating and training motorists to accept bicyclists as part of the traffic and users of our publoc roadways. Kate Bradshaw did a nice update story on the Friendship TrailBridge for today's Creative Loafing. I took this photo of the closed TrailBridge in December while cycling over the Gandy Bridge and thought to myself the Tampa Bay area has so much potential and so little realized. The TrailBridge was a gem used by 600,000 annual users and now after 3 1/2 years of being closed the first phase of demolition is set. Mike Ploch posted this disturbing story about a bicyclist struck in the Naples area who is fighting to recover from her injuries. Story says she was struck by a county trailer and dragged underneath, but no charges against the driver. "I'm thrilled to announce that the new national TV series, Pedal America, will begin to air on Saturday, May 5th on PBS stations. Please check your local Public Television station or visit the "Where To Find Us" page on our website listed below to make sure your station is carrying the series. 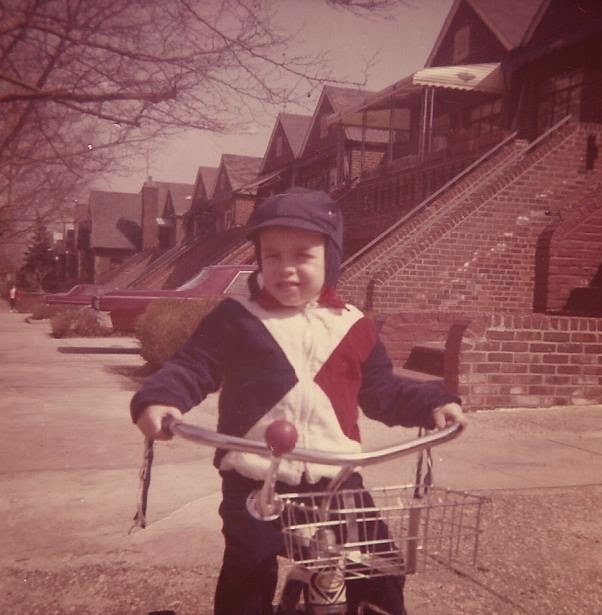 "To date, Pedal America will reach at least 70% of PBS's total household reach. Please feel free to share the attached announcement and release with your local bike clubs, members, shops, media, and constituents; and join us on Twitter, FB, and YouTube. We are already planning content and logistics for Season Two. 1) Might raise money for trails by selling naming/sponsorship rights for trails. 2) Repeal the requirement for cyclists to keep at least one hand on the handlebars. 3) No longer restrict the cyclist to a bike lane even when it is dangerous. 4) Allow cyclists to install lights instead of paying fines for not having them. 5) Allow cyclists to use flashing lights at night. 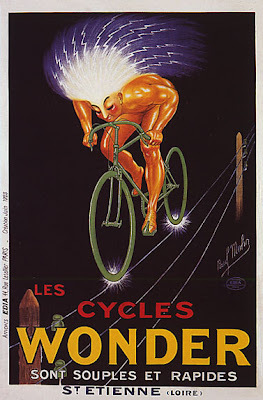 6) Require bicycle helmets to meet the federal standard. 7) Require vehicle drivers to stop when a mobility-impaired pedestrian is in a crosswalk. Also, motorized wheelchair users are allowed to leave the sidewalk and use the road when no other alternative route exists. 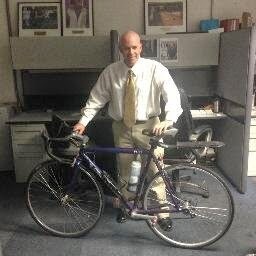 Mike said we feel that the bicycle/pedestrian news from Florida is especially important because, since 2001, Florida has either been #1 or in the top 3 among American states, in both bicycle and pedestrian fatalities per capita. Since no other state comes close to this tragic record, Florida is acknowledged as the worst state in the nation for bike/ped safety. Thus, these legislative efforts are particularly important. 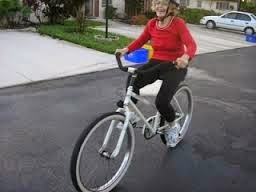 Mary Helen Duke, who used to work on bicycle trails issues for the city of Tampa, went out and got Tampa Bay Rays manager Joe Maddon and the Rays to participate in a bicycle awareness program. Check out the first PSA with Joe Maddon here. Mary Helen on her own went out and enlisted Joe Maddon and the Rays to advise bicyclists to be safe when cycling. Kudos to Mary Helen for approaching the Tampa Bay Rays with her Arrive Home Safe idea and the Rays for having Manager Joe Maddon participate in the PSA campaign. -- In Brazil, there are national protests over the high number of bicyclist deaths. 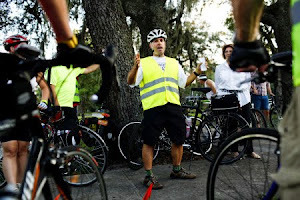 -- A Charleston, SC lawyer discusses the problems in group rides. -- Here's an interesting debate about dedicated bike lanes vs. shared-road markings (sharrows). Sorry to start your week on a sad note, but another bicyclist has been killed in the Tampa Bay area this morning. A semitrailer truck killed the bicyclist on State Road 54 near the Suncoast Parkway in Odessa in south Pasco County at around 6:30 am when it's still dark outside. That's all the available details at this point. The politicians need to see this -- everyday folks riding their bicycles to community events such as today's Seminole Heights Sunday Market. What fascinates me is all the new faces on a wide variety of bicycles that make their way to the outdoor market on the Hillsborough High School front lawn. I was there with Jim Shirk and it's impressive to see more and more people pedaling in the neighborhood. They're not the hard-core roadies or the fixie hipsters or the gearheads. Great to see and meet all the people who came by the Seminole Heights Bicycle Club tent today. The Tampa Bay Sierra Club is dealing with traffic and smog issues with a very cool meeting on Wednesday at 7 PM at the Hilton Garden Inn, 1700 E. 9th Ave. in Tampa. Marcia Biggs, the Tampa Bay chair of the local Sierra Club, says the average commuter spends 46 hours per year sitting in traffic. Could this contribute to the fact that The American Lung Association gives Hillsborough County an F for ground-level ozone pollution – also known as smog – produced when heat and sunlight cook tailpipe emissions. From 2007-2009, Hillsborough County reported 21 days when ozone levels were high enough to issue health warnings – the highest number in the state. The foundation for the quality of life we desire – with clean air and less traffic congestion -- is an effective and efficient transportation system. The Tampa Bay Area Regional Transportation Authority (TBARTA) was created in 2007 to work toward building a world-class transportation network for the seven-county region of Hillsborough, Manatee, Pasco, Pinellas Citrus, Hernando, and Sarasota counties. Transportation is an investment in our quality of life, our economy, and the future development of our region. Moving to mass transit will also reduce tailpipe emissions, greenhouse gases and fuel consumption. Lou Gomes from TBARTA will speak and show us what’s being done now and what’s planned for the future on mass transit. Phil Compton will join in on the discussion as head of the Sierra Club’s Healthy Air Campaign. Phil is building the support in Tampa Bay and Sarasota that’s needed to make these changes materialize. He’ll fill us in on this new campaign and let us know how we can help to make the move to Healthy Air by supporting mass transit and reducing our addiction to oil. Get ready to take action! Come learn what we can do now to reduce congestion, clean up our air, and in a few years, create a freedom of choice that finally connects us all under clear, blue skies. Sierra Club meetings are free and open to the public. Call Marcia at 727-797-6261 for more information. Bicycle Stories visited one of the Tampa area's signature events -- the Strawberry Festival in Plant City about 20 miles east of Tampa. The festival is all about tradition with a heavy dose of strawberry themes and country music, spiced by country fair stand-bys like the killer fried foods that will literally kill you, old music acts like Brenda Lee who are literally old and rides and prize booths you see at every fair. Let's take a hike through the grounds and you'll see what I mean. Remember that strawberry theme -- well, there's even a real live strawberry patch. And after you Hoover up the strawberry shortcakes and shakes, there is a plethora of that killer food. When you enter the joint, there are photographers ready to snap away. Even the vendor stands are made from gigantic strawberries. The crowd gathered to hear Jay Taylor, who played country music and is a local boy. Later in the afternoon, this guy played to a small crowd. I have to credit the Strawberry festival for allowing just about anyone to sing. They sell strange stuff, like hands to hold stuff. The old lady gang wearing their trademark red hats and purple outfits invaded the Strawberry Festival. Even the FOX football robot guy showed up. Strawberry festivals are very diverse -- they even include seals.